Harold is a North Carolinian who has spent his entire life serving our community. He joined Greenwood Law as an Associate Attorney in July of 2018 and he focuses on DUI’s/DWI’s, other types of criminal law, family law, and juvenile criminal law. Harold was an Assistant District Attorney in Forsyth County where he prosecuted various criminal offenses from impaired driving to violent crimes. Harold served as one of the county’s juvenile court prosecutors and also was the lead prosecutor in the county’s Veteran’s Treatment Court, which he helped to create. This court focuses on getting veterans, charged with crimes, the help they need. Before Forsyth County, he served as a prosecutor in Rockingham County, NC. As a prosecutor Harold argued over 500 trials in both district and superior court. Harold has worked on thousands of cases involving criminal and juvenile law during his career. Before serving as a prosecutor, Harold was enlisted for nearly six years on active duty in the United States Army as a paratrooper-infantryman. Harold served in the 101st Airborne Division’s elite Pathfinder Company. While on active duty, he served tours in Iraq in 2005-2006 and Afghanistan in 2008-2009. During those tours Harold conducted and led nearly 300 combat missions against enemy forces, everywhere from Tikrit and Samarra in Iraq to the Korengal Valley and the Pakistan Border in Afghanistan - he was awarded three Army Commendation Medals and the Combat Infantryman’s Badge as well as forty-three parachute jumps. He is a member of Iraq and Afghanistan Veterans of America and Veterans of Foreign Wars. In College, Harold founded the Morehouse College Republicans, the first college Republican chapter at a Historically Black College or University and is an alumni of the Young America’s Foundation. In the fall of 2016, Harold graduated as a fellow from the North Carolina Institute of Political Leadership. In 2017 Harold was selected as a delegate to the NC GOP State Convention from Forsyth County. Attorney Eustache is a member of the Forsyth County Bar, the American Bar Association, the North Carolina Bar, and the Winston Salem Bar Association. He also serves on the Board of Directors of the Wake Forest Review. 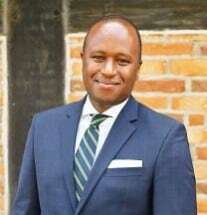 Harold attended Morehouse College as a scholar and he received his bachelor’s degree from the University of North Carolina at Charlotte; his law degree from Wake Forest University School of Law and graduated high school from the North Carolina School of Science and Mathematics. He currently resides in Winston Salem.